The U.S. Geological Survey said it was centered in Oaxaca. 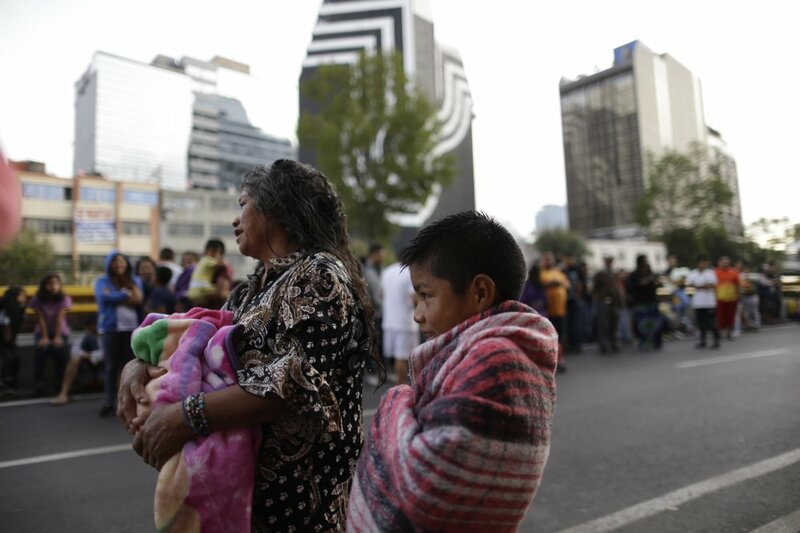 MEXICO CITY — A strong new earthquake shook Mexico on Saturday, toppling already damaged homes and a highway bridge and causing new alarm in a country reeling from two even more powerful quakes this month that together have killed nearly 400 people. There was some damage in Oaxaca but no immediate reports of new deaths. The Federal Police agency posted images online showing a collapsed bridge that it said had already been closed due to damage after the Sept. 7 quake. Buildings swayed in Mexico City, where nerves are still raw from Tuesday’s magnitude 7.1 temblor that has killed at least 295 across the region. Many residents and visitors fled homes, hotels and businesses, some in tears. At the Xoco General Hospital, which is treating the largest number of quake victims, workers ordered visitors to evacuate when seismic alarms began to blare. At the site of an office building that collapsed Tuesday and where an around-the-clock search for survivors was still ongoing, rescuers briefly evacuated from atop the pile of rubble after the morning quake before returning to work. As rescue operations stretched into Day 5, residents throughout the capital have held out hope that dozens still missing might be found alive. 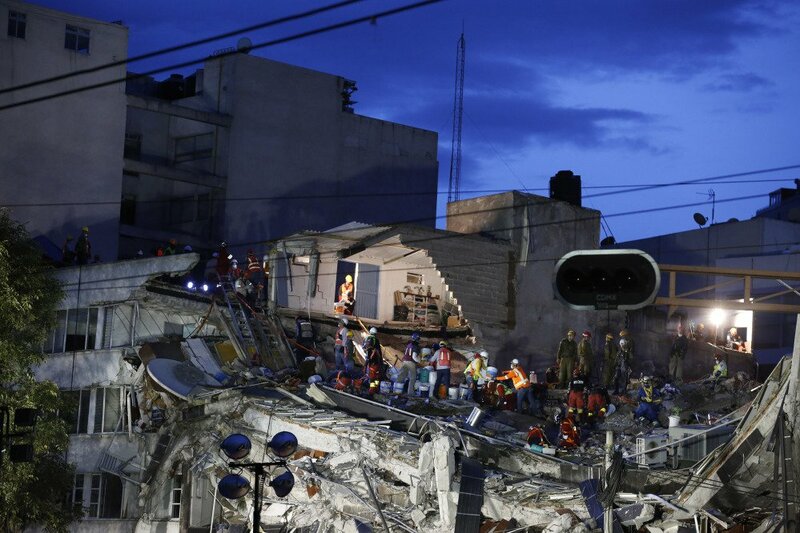 More than half the dead – 157 – perished in the capital, while another 73 died in the state of Morelos, 45 in Puebla, 13 in Mexico State, six in Guerrero and one in Oaxaca. Families have been sleeping in tents, accepting food and coffee from strangers, people have organized to present a united front to authorities, who they pressed ceaselessly for information.